When the world’s first digital computer was completed in 1946 it opened up new vast new worlds of possibility. Still, early computers were only used for limited applications because they could only be programmed in machine code. It took so long to set up problems that they were only practical for massive calculations. Like the first digital computers, quantum computing offers the possibility of technology millions of times more powerful than current systems, but the key to success will be translating real world problems into quantum language. At D-Wave, the first company to offer the technology for commercial use, that process is already underway and it is revealing massive potential. One of the toughest problems in mathematics is known as the traveling salesperson problem, which asks to find the shortest route between a list of cities. It sounds fairly simple and, in some sense it is, but in terms of computation it is enormous. Traditionally, engineers have used shortcuts, such as the Monte Carlo method or genetic algorithms to solve it. The traveling salesperson problem is also pervasive. Practically anytime you want to make a complex process more efficient, you need to do this kind of combinatorial optimization. Logistics businesses need to solve a version of it every time they plan a route. Semiconductor manufacturers encounter similar issues when they design and manufacture chips. D-Wave has begun to work with investment managers on the related problem of designing portfolios. In order to generate the maximum returns for a given risk profile, a fund manager needs to not only choose among the thousands of available securities, but also minimize transaction costs by achieving the most optimal portfolio in the minimum number of trades. When the Human Genome Project was completed in 2003, it ushered in a new era of medicine. Rather than treat every patient the same way, it showed that we could design treatments to suit a particular genetic makeup. This has been especially effective in targeted cancer therapies. While these are major advances, our newfound knowledge has also revealed our limitations. Unlocking the secrets of DNA exposed how little we know about the proteins it codes for, just as early successes with targeted therapies have shown us how much more we can achieve by working with complete genomes rather than just isolated markers in our chromosomes. Unfortunately, conventional computers aren’t powerful enough to perform these tasks well, but early indications are that quantum computers can close the gap. Scientists at Harvard have found that quantum computers will allow us to map proteins much as we do genes today. D-Wave has also formed a partnership with DNA-SEQ to use its quantum computers to explore how to analyze entire genomes to create more effective therapies. Mapping the human genome was a triumph of technology as much as it was an achievement in biology. It was, essentially, more powerful computers that allowed us to analyze human DNA on a massive scale.However, if we are to advance further, quantum systems will likely be a big part of the answer. Take a look on the Internet and you can find hilarious lists of autocorrect mangling phrases, like changing “I don’t” to “idiot” in a text to your mom. These are embarrassing mistakes, but they usually don’t cause too much trouble. However, in other applications, like picking a terrorist out of a crowd through facial recognition, the stakes are far higher. These problems arise because of how machine learning algorithms are designed and trained. Like our brains, they process different aspects of an experience, such as colors and shapes and integrate them into larger concepts, such as a human face, a type of hairstyle or the signature style of a popular designer. However, in order for this process to work well, the more elemental aspects need to be correctly identified or they will pass on bad information to the higher levels of the system. Because of the limited capacity of conventional computers, data is lost in the training process and things are not recognized correctly, resulting in insults to your mom and terrorists misidentified. Here again, quantum computing can help close the gap. D-Wave is working with a number of partners, such as NASA, to help train artificial intelligence systems to reflect human thought processes far more completely than is possible with conventional computers, which will help to minimize mistakes. 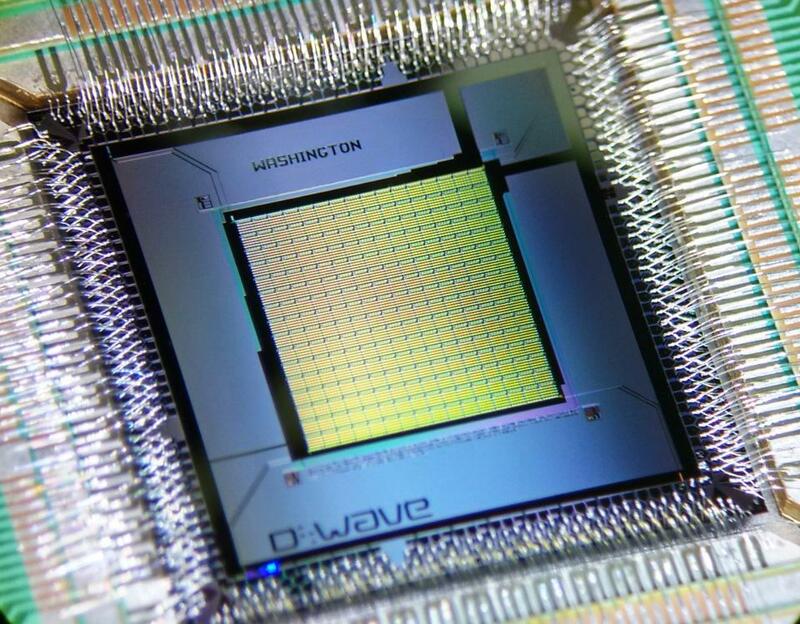 D-Wave’s Hilton told me that quantum computers will make it possible for our technology to develop something akin to intuition, allowing them to know that something is wrong even if they can’t point to exactly why. In 1968, just a decade after John Backus introduced FORTRAN, Douglas Engelbart presented the results of his project to “augment human intellect” and it turned out to be so consequential that it is now called The Mother of All Demos. Until that point computers were, much like quantum technology today, merely computational devices that few people ever saw. Yet Engelbart showed that they could be much more. Using something he called a “mouse” and a keyboard, he showed how just about anyone could navigate around a screen and operate a computer. Later, Xerox developed its Alto computer based on Engelbart’s ideas, which formed the basis for Steve Jobs’ launch of the Macintosh in 1984. Today, quantum computing is somewhere between the arrival of FORTRAN and Engelbart’s “Mother of all Demos.” Highly trained specialists are able to translate real world problems into language a quantum computer can understand, but for most people the technology is out of reach. That will change in the years to come. Sources: Forbes.com, Greg Satell at Twitter @DigitalTonto.